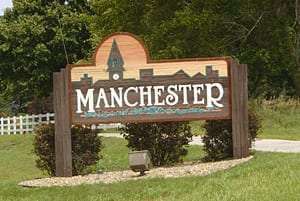 The Manchester community is taking steps to grow and improve the east end of town. The Manchester Chamber recently held a conversation with a group of business owners and employees from that side of the city. The group acknowledged that the east end has seen some positive changes in the past year or two – new construction such as Old 20 Auctions and the Good Neighbor Society’s Villas, and renovations and new ownership at places like Main Street Repair and Lightning Lanes. While most businesses on the east end of Manchester agree that they don’t rely on drive-by traffic, there is some concern that side of town may become quieter when Norby’s moves to their new location on the other side of town. The group brainstormed some ideas to benefit the east end of Manchester, including bringing in businesses like a convenience store, a coffee shop or a mini-mall. Ways to promote the east end were also brought up, with ideas including east end events, maps and signs. Chamber Director Jessica Pape says some of those things like maps and events can be done right away, but overall, growing and improving the east end of Manchester will be a multi-step process. Pape says they’ll look into gathering more information for a market study. The Chamber plans to host another meeting in the coming months.